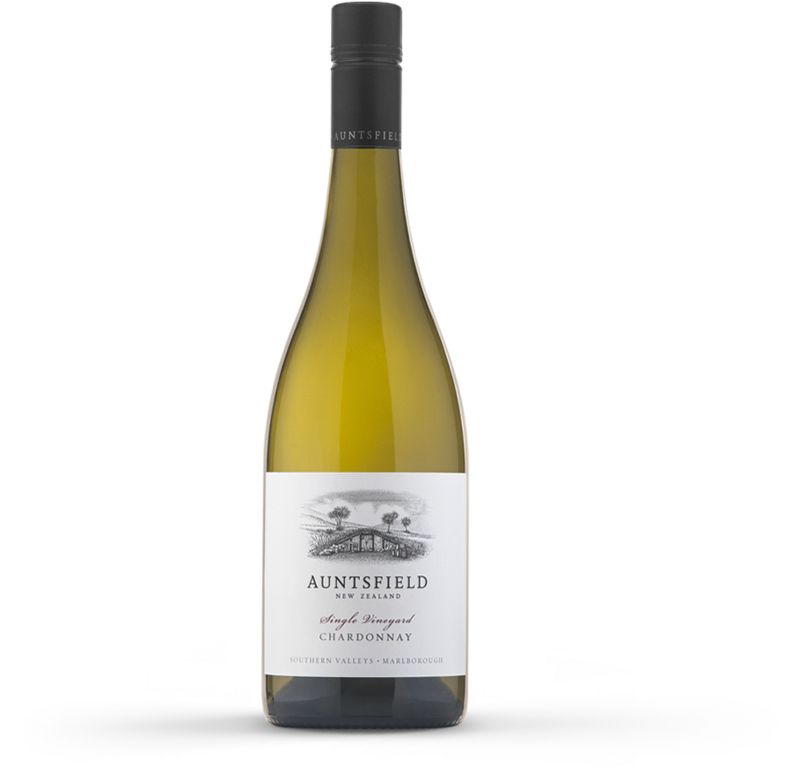 Our Single Vineyard wines are made from grapes grown at Auntsfield Estate. Each wine shows the distinctive characteristics of ripeness, texture and minerality – qualities unique to the ancient Greywacke rock and Loess clay soils of the vineyard. AROMA: Intense and complex, this wine displays aromas of peaches, mandarin peel and lemon tart, integrated with brioche and creme brulee aromas from the French oak influence. PALATE: Ripe and intense stone fruit flavours of peach and dried apricot are complimented by a flinty minerality and subtle French oak influence giving hints of roasted hazelnut. A tight palate with creamy texture and underlying minerality concludes with seamless length. WINEMAKER NOTES: The fruit for this wine was hand harvested and whole bunch pressed, allowing clean and intensely flavoured juice to be pressed from the grape. The juice was fermented in French oak barriques, with a combination of indigenous and cultured yeast, followed by extended barrel ageing on yeast lees. Maturation allowed the oak flavours to gently integrate with the fruit and yeast lees characters and develop increased richness and complexity in the wine. VITICULTURALIST NOTES: The 2016 season was characterised by moderate yields resulting excellent vine growth from rainfall at key growth stages in the Spring. A very dry summer followed with vineyard work focused around reduced yields by hand to optimal levels. This allowed the fruit to ripen over an extended period of time in the cool and settled conditions of early autumn. A season that rewarded vigilance, lower cropping levels and delayed ripening in the vineyard. AROMA: Intense and complex, this wine displays aromas of white peach and mandarin peel integrated with brioche and macadamia nut aromas from the French oak influence. PALATE: Ripe stone fruit flavours of peach and dried apricot are complimented by a flinty minerality and subtle French oak influence giving hints of roasted hazelnut. A tight, well-structured palate with underlying minerality gives the wine seamless length and complexity. VITICULTURALIST NOTES: The 2015 season offered up many challenges but particularly a cold windy Spring which reduced yields to very low levels. This fruit developed through a warm summer and mild weather during the harvest period, allowing the fruit to ripen to optimal levels in the cool and settled Autumn conditions. A season of low crops and incredible fruit ripeness and intensity. AROMA: Intense and complex, this wine displays floral aromas of apricot and orange peel integrated with dried spice characters and nougat aromas from the influence of barrel fermentation and lees contact. PALATE: Ripe stone fruit flavours of nectarine and dried apricot are complimented by a flinty minerality and subtle French oak influence giving hints of macadamia. A tight, well-structured palate with underlying minerality gives the wine seamless length and complexity. WINEMAKER NOTES: The fruit for this wine was hand harvested and whole bunch pressed, allowing clean and intensely flavoured juice to be crushed from the grape. The juice was fermented in French oak barriques, with a combination of indigenous and cultured yeast, followed by extended barrel ageing on yeast lees. Maturation allowed the oak flavours to gently integrate with the fruit and yeast lees characters and develop increased richness and complexity in the wine. VITICULTURALIST NOTES: The 2014 season was characterised by naturally high yields resulting from an early, warm settled spring. A very dry summer followed with vineyard work focused reduced yields by hand to optimal levels. This allowed the fruit to ripen to optimal levels in the cool and settled conditions of early autumn. A season rewarding hard work and vigilance in the vineyard. AROMA: Intense and complex, this wine displays aromas of nectarine, apricot and orange marmalade integrated with vanilla pod, nougat and hazelnut aromas from the influence of barrel fermentation and lees contact. PALATE: Ripe stone fruit flavours of nectarine and dried apricot are complimented by a flinty minerality and subtle French oak influence giving hints of roasted hazelnut. A tight, well structured palate with underlying minerality gives the wine seamless length and complexity. VITICULTURALIST NOTES: The 2013 season was characterised by naturally low yields and warm settled weather with very little rainfall. Autumn produced cool and settled conditions which were some of the best seen in many years. This ripened small bunches of perfectly formed Chardonnay grapes that reached optimum ripeness with a long Autumn ripening period. “A plush and pure fruit attack with a calm creamy bouquet. Aromas of white peach and apricot, sweet red apple then wood spice and vanilla. Firm youthful and dry on the palate with a vibrant fruit core, wet stone mineral moment, mild fine wood tannins and plenty of refreshing and balancing acidity. Lush, fresh and juicy finish with a building complexity. Drink now and through 2026.” (Single Vineyard Chardonnay 2016). This consistently rewarding wine is estate-grown on the south side of the Wairau Valley, hand-harvested and fermented and matured in French oak barrels (27 per cent new in 2016). The 2016 vintage is lemon-scented and mouthfilling, with rich, vibrant, citrusy, peachy flavours, hints of toast and butter, good acid balance and a fully dry (1.2 grams/litre residual sugar), persistent finish. Priced sharply, it should be at its best mid-2019+. (2016 Single Vineyard Chardonnay). Bright straw-yellow colour with light golden tints, paler edged. The nose is gently full with even and accessible aromas of yellow stonefruit and citrus fruit, along with subtle creamy barrel-ferment and fragrant nutty oak elements with lees detail. Some refresh mineral nuances emerge with aeration. Medium-full bodied, the flavours are a little restrained in expression but grow to form a softly packed heart providing good mouthfeel and presence. The palate has flavours of yellow stonefruits and citrus fruits melded with nutty lees and oak with subtle, creamy textures. The palate is balanced by crisp, mouthwatering acidity, unveiling mealy and toasty suggestions as the wine carries to an elegant, lingering finish. This is a well-concentrated Chardonnay with restrained stonefruit and citrus fruit flavours along with nutty and creamy oak, and brisk acidity, good weight and presence. (Single Vineyard Chardonnay 2016). Elegant and refined, the wine exhibits white stone fruit, lemon pith, fig and almond characters with a hint of brioche notes. The palate is concentrated and focused, and displays pristine fruit flavours together with subtle oak infusion and savoury undertones. The wine is tightly structured and restrained, and promises to evolve gracefully. At its best now to 2020. (Single Vineyard Chardonnay 2015). This consistently rewarding wine is estate-grown on the south side of the Wairau Valley, hand-picked and fermented and matured in French oak barrels (18 per cent new in 2014). The 2014 vintage is light lemon/green, with a slightly creamy bouquet. Mouthfilling, it is tightly structured, with strong, peachy, slightly appley and smoky flavours, woven with fresh acidity, well-integrated oak adding complexity, and a lingering finish. (Single Vineyard Chardonnay 2014).